Everyone wants to live a healthy life. The ideal health for most is reached by eating nutritious meals to fuel the body and mind, while being balanced with enough physical activity to keep the body working properly. But where does one start? There seems to be an endless amount of questions to ask and information to gather before starting a journey to a healthier you. 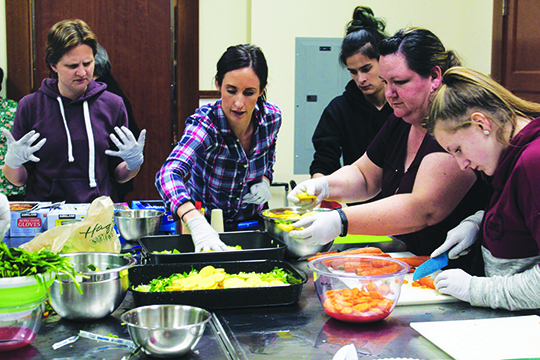 Luckily, for the Tulalip community, the Supplemental Nutrition Assistance Program Education (SNAP-Ed) and a team of health experts are here to help by offering a series of nutrition and cooking classes that are fun and interactive. Eat Smart, Be Active classes will be taking place every Tuesday from now until July 31 at the Tulalip Dining Hall from 5:00pm – 6:30pm. If you are interested in learning more about whole foods, quality health, exercise, meal prepping, or cooking quick and healthy meals on a budget, then this is the perfect opportunity. Eating healthy doesn’t have to mean dieting or giving up all the foods you love. During the opening class on Tuesday, June 5, the twenty-five health conscious participants learned about ditching junk food and give their bodies the nutrient-dense fuel it needs by making a meal together. The main course? A delicious chicken stir fry made with nine different flavorful vegetables. 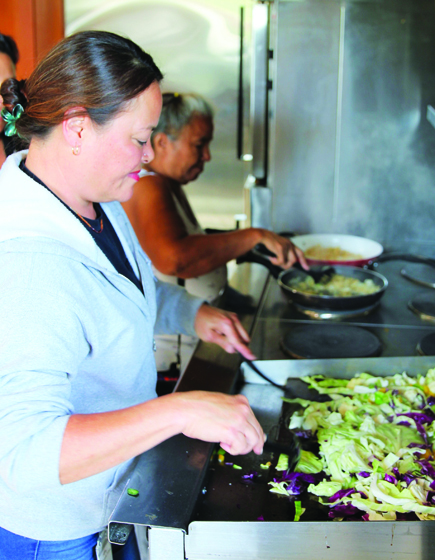 After learning a 15-minute aerobic exercise routine that can be done at the comfort of home, the community members received basic cooking instruction before gathering in the kitchen. 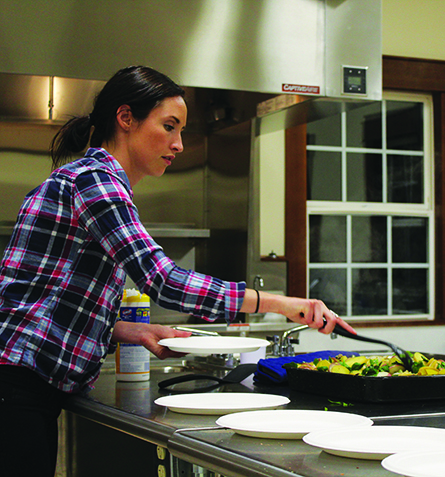 There each participant had a job to do in order to make the evening’s meal. Finally, while enjoying the freshly prepared chicken stir fry, instructors reviewed all the nutrients being consumed and emphasized how simple the process had been. If you missed out on the opening class, no worries. The invite is open to anyone who wishes to learn about healthier lifestyle choices when it comes to nutrition and physical activity. Come in to as many classes as you can, if not all of them.